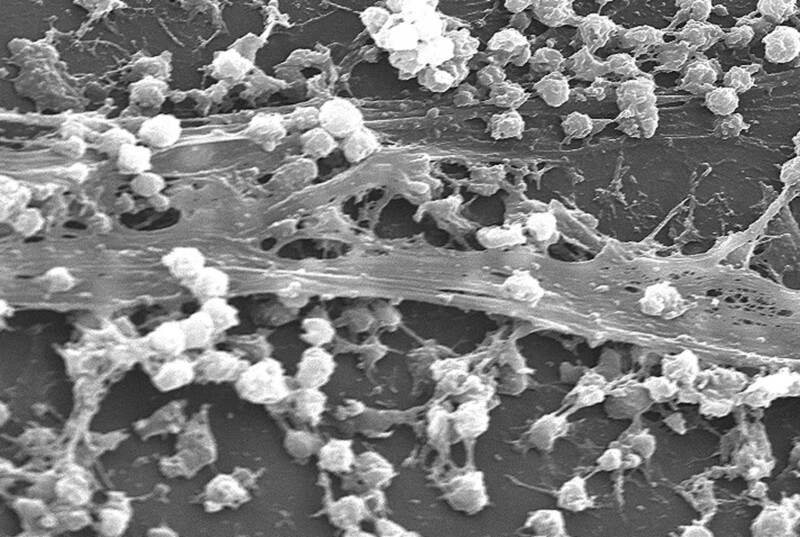 Ionic Liquids could become instrumental in treating wound infections or any surfaces affected by biofilms. Image via Wiki Commons. As microbes become more and more resistant to antibiotics and cleaning products, it’s crucial that we find better, more efficient way of fending them off. Dr. Samir Mitragotri from the University of California at Santa Barbara has led a team which showed that ionic liquids (ILs), also known as liquid salts, dramatically improve the treatment of microbial biofilm skin infections, while also exhibiting antibacterial properties, facilitating deep skin penetration of antibiotics, and displaying a positive safety profile. Ionic liquids should not be confused with salts dissolved in a liquid. Instead, they are liquids which are composed entirely of paired ions, like for example molten table salt but at room temperature; salt melts at 801 °C (1,474 °F). After trying several ionic liquids, researchers found that choline geranate works best – its efficiency was remarkable, and they decided to use it in future tests. They tested it on a biofilm-infected wound model. Over 95% of all bacteria were killed after 2 hours of application of choline geranate and a passenger antibiotic cefadroxil. The choline geranate alone was also very effective, killing almost 92% of all bacteria, while the antibiotic alone didn’t kill almost any bacteria due to the biofilm barrier. 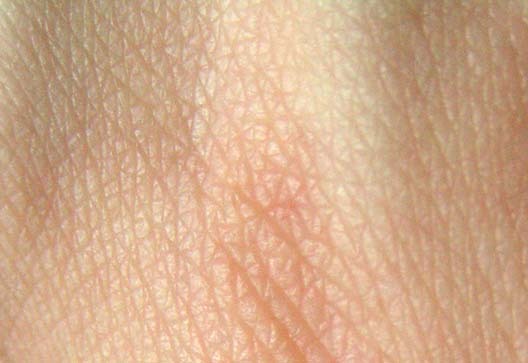 Researchers also tested the ionic liquid’s ability to transport substances in the skin. Results showed a huge increase in the transport capacity – 16 times more than without it. There was also no cell irritation or inflammation associated with the treatment. The importance of this discovery becomes even more obvious when you consider that real life 75% of infections in humans are associated with biofilms. Biofilm through a microscope. Image via Wiki Commons.